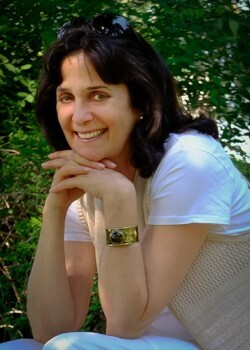 Dr. Pamela Paris, PhD., C.Psych. I am a registered clinical psychologist who has been in private practice for the past 23 years. I work with individuals of all ages, couples, and families. I believe that therapy is a collaborative approach, where psychologist and client work together to achieve goals and resolve problems. My clinical training can best be described as an integrated approach, combining aspects of cognitive-behavioural, psychodynamic, and systems psychology. I work actively with my clients and believe that success is achieved when building a safe therapeutic environment that supports and challenges people to move past their stuck places. I have a particular interest in anxiety and mood disorders, relationship issues, transitional life issues, and women’s psychology. I also have background in learning and cognition and am able to consult around learning and educational problems. Most recently, I am collaborating on work where the focus is on building new models of self-esteem to address the increasing problems of loneliness and disconnection in our society. I believe that therapy should be tailored to an individual’s specific needs, and toward that end I will provide diagnostic assessment and establish a therapeutic framework in our initial sessions. The length of therapy naturally depends on the presenting problem, but in general my goal is to create shifts in thinking or behavioural patterns within a brief therapy model. I received my doctorate in psychology from York University in 1986, and have been registered with the College of Psychologists of Ontario since 1987. I am a member of the Ontario Psychological Association and The Canadian Register of Health Service Providers in Psychology. I have had psychological staff and/or intern experiences in a number of treatment settings, including North York General Hospital, the Hincks-, Dellcrest Treatment Centre, and The George Hull Centre for Children and Families. I was a regular guest expert on CityTV, and have given numerous seminars and talks on parenting, anxiety disorders, and self-esteem. My fees are not covered by OHIP, but the services of registered psychologists may be covered by private insurance or extended health insurance plans. I have flexible daytime, evening & Saturday hours.